Always Aubrey: What Would Don Draper Do? I started watching Mad Men on Netflix recently, and I don't know why I never watched it before! I've always loved the fashion, and I love Janie Bryant's book on the style inspiration... but this is some good drama. 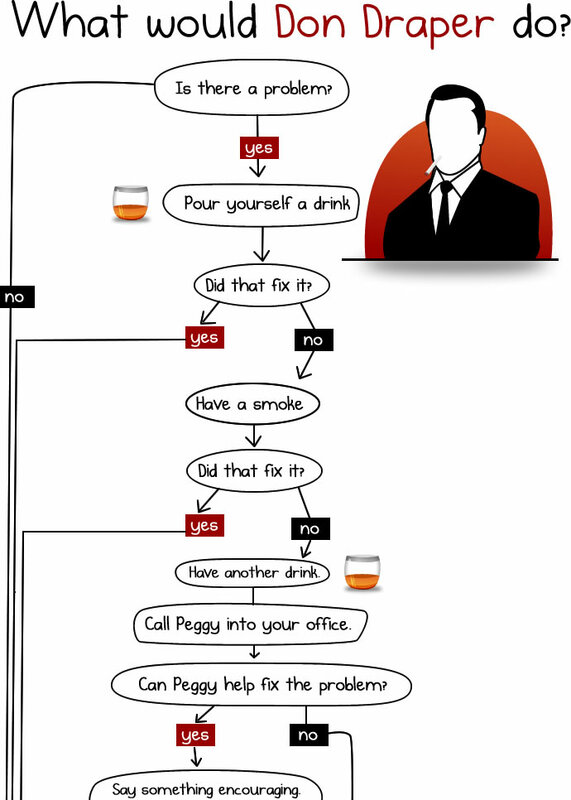 Thanks to The Oatmeal for the most brilliant flowchart ever. This is how I should solve all my future problems.